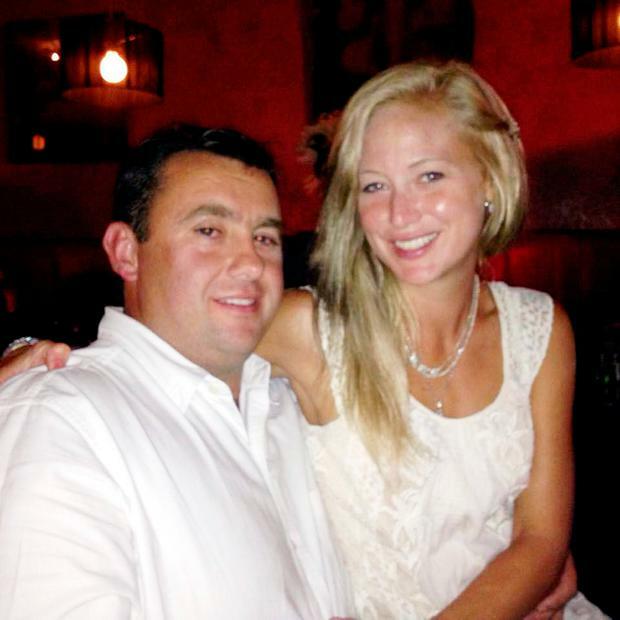 Jason Corbett was asleep in bed when he was first struck by his wife, two members of the jury in the North Carolina murder trial have said. Davidson County juror Miriam Figueroa told US TV network ABC she believes Molly Martens (33) first hit her husband with the paving stone while he was sleeping. "I think at some point dad (Thomas Martens) came to help out and cover it up," Ms Figueroa said. "There was blood on the pillow and on the comforter. That may have been the first blow, and then it progressed from that point where he got out of bed." Jury foreman, Tom Aamland, said he believed the extensive blood splatter marks around the bedroom, hallway and bathroom were left as the father-of-two desperately tried to escape from the brutal attack. "When he got up and tried to protect himself, I believe that's when Tom had to intervene because of the size difference of Molly and Jason," he added. The revelation came as a defence lawyer backed the team's decision not to put Ms Martens in the witness box during the trial. Ms Martens and her father, retired FBI agent Thomas Martens (67), were both convicted of the second degree murder of the Limerick man. They were each sentenced to minimum prison terms of 20 years for the brutal killing of the packaging industry executive at his luxury Panther Creek home on August 2, 2015. Walter Holton, Ms Martens's lawyer, confirmed she is to appeal the conviction. However, in an interview with ABC for their top-rated 20/20 programme, Mr Holton defended the fact that, unlike her father, she opted not to give sworn testimony in her defence. "Why? What burden of proof do we have," Mr Holton said. "That is not the way the system works; it is not up to us to prove innocence." The ABC interview also included submissions from several of the jurors who unanimously convicted the father and daughter of Mr Corbett's murder. Mr Corbett died from at least 12 savage blows to the head which crushed portions of his skull. While both the father and daughter argued they acted in self-defence, both were found to be uninjured at the scene. Mr Corbett suffered his fatal injuries from a metal baseball bat and a garden paving brick. Three of the jurors told ABC they believed the self-defence story was simply a cover up. "The evidence to me did not suggest that the story that was fabricated ever occurred," Ms Figueroa said. "There was no doubt in my mind that I made and my fellow jurors made the right choice. To me, the choking did not occur." Jurors said they believed Ms Martens and her father took some time after Jason died to conspire before they called 911.